A1 Overseas International ships to Spain! Call 1-800-450-5319 or fill out our form for a FREE quote! Transporting a vehicle to Spain is made possible with the assistance of a reliable auto transport company capable of overseeing international auto transports for vehicles. A1 Overseas International is a reputable company that can provide low cost vehicle shipping arrangements to Spain for vehicles of all kinds, as long as they are permissible through Customs. While moving to Spain might be an exciting and nerve-wracking venture, having your own vehicle there will make it easier to discover all that there is to see in your new foreign surroundings. By hiring a auto shipping company and contacting Spanish Customs, you can acquire all of the necessary information to assure a smooth auto shipping. 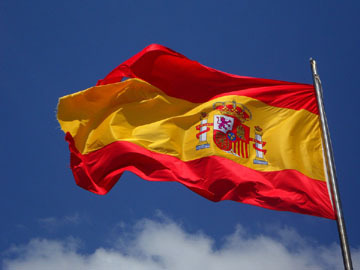 The wisest thing to address first when a vehicle transport to Spain is in your undeniable future is to contact Customs. They will give you the most up to date requirements for vehicle import and export seeing as the rules are always changing. Any vehicle under 49cc can be transported as a possession rather than a vehicle. You must file an application form at any local traffic department in Spain. Proof of residency, paid tariffs, driver’s license, and other documentation will be necessary. Spain prefers left-handed vehicles only. Proof of vehicle testing and certification. This is a lengthy process and will need to be addressed in time for transport. Spain might have rather strict regulations, but in comparison to other countries, it isn’t nearly that difficult. The most difficult part is the time constraint which is why it is suggested that the Customs office is contacted at least a couple months before the vehicle’s transport. Fill out the form or contact 1-800-450-5319 for a FREE price quote and more information on boat, motorcycle and car shipping!